2711 Lower Lake Road, Seneca Falls, NY.| MLS# R1110369 | Coldwell Banker Finger Lakes | 315-789-6768 | Geneva NY Homes for Sale, FINGER LAKES PROPERTIES, Seneca Lake, Cayuga Lake, All of the Finger Lakes. Living is easy in this impressive, generously spacious Lake Home with expansive Cayuga Lake views, private dock, patio & electric hoist. 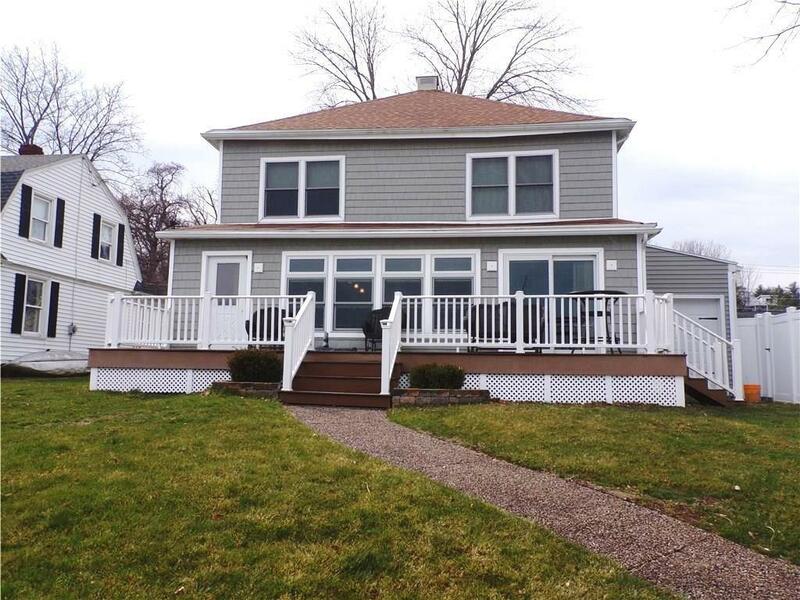 This totally renovated large open floor plan boasts itself w/quality hardwood floors throughout & lake views. Generous working kitchen with Corian counters, plenty of quality built cabinetry and seating island flowing into large living room & dining area overlooking maintenance free decking & lake. Welcoming foyer to greet your guest as they enter, 1st floor Master bedroom is more than large enough for king size bed, Full bath with Jacuzzi tub & sep. walk-in shower w/ seat & first floor laundry. Second floor boasts 4 good sized bedrooms all with closets, full tiled bath & full attic. Pella windows & doors throughout home with 3-pane window on lake side, steel dock w/extension, water on demand, ever-dry guarantee for basement, shaker vinyl shingles facing lakeside & fully insulated. This home is truly a Gem! Directions To Property: Starting From East Bayard Going East, Cross Over Rt. 89 Onto Lower Lake And Take A Right. Travel Approx. 1 Mile And House Sits Proudly On The Left Side, Lake Side, Of Road.